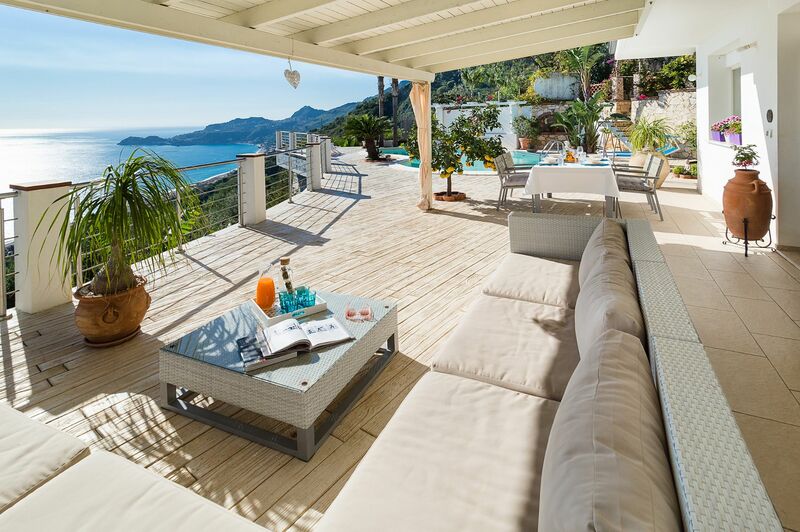 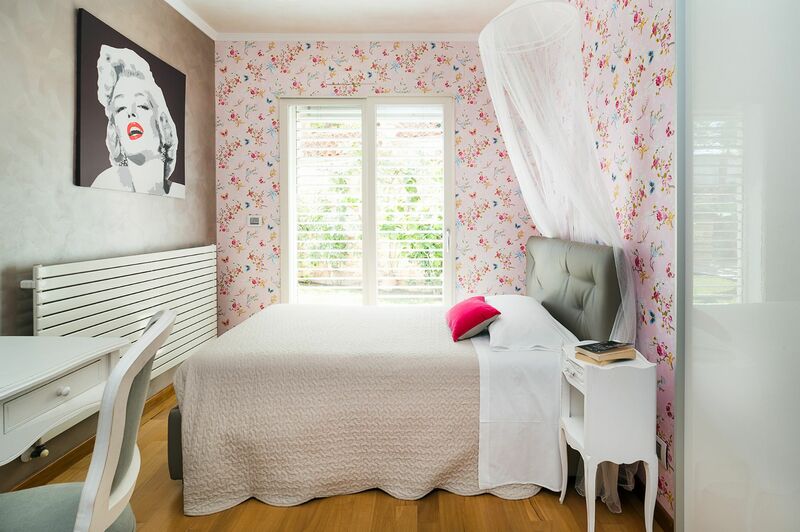 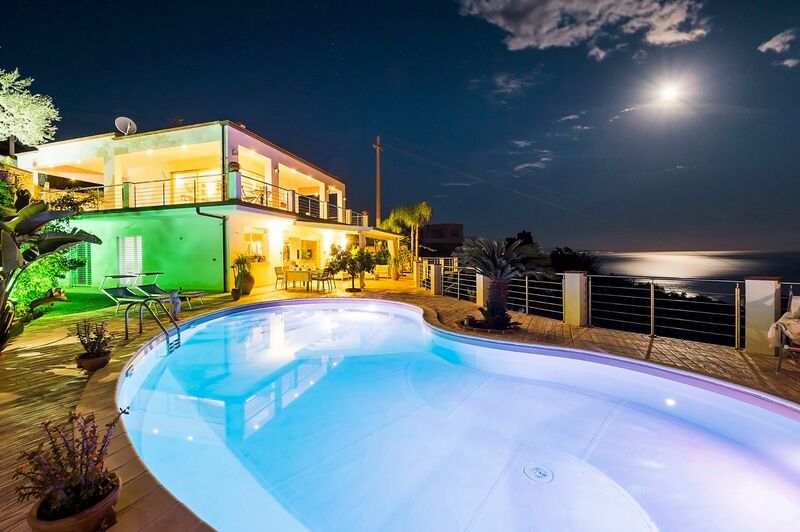 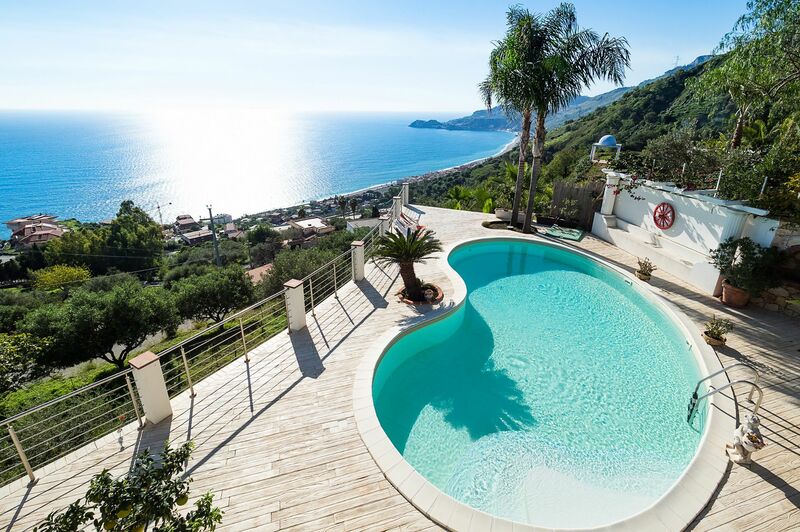 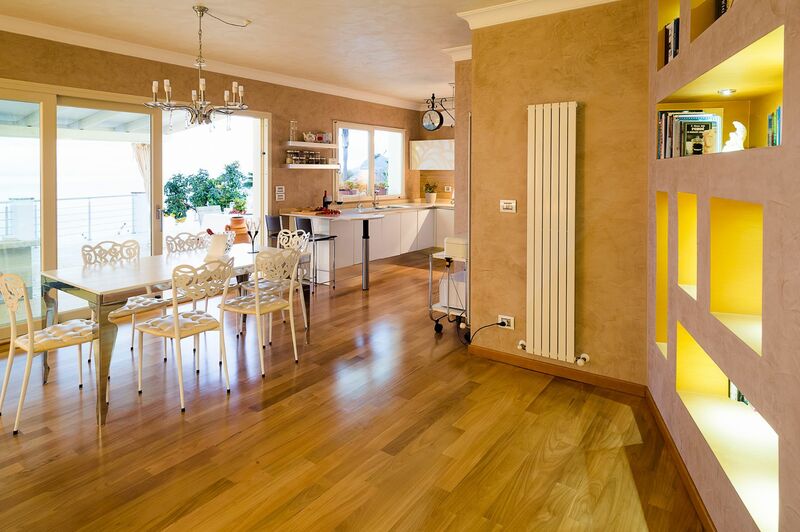 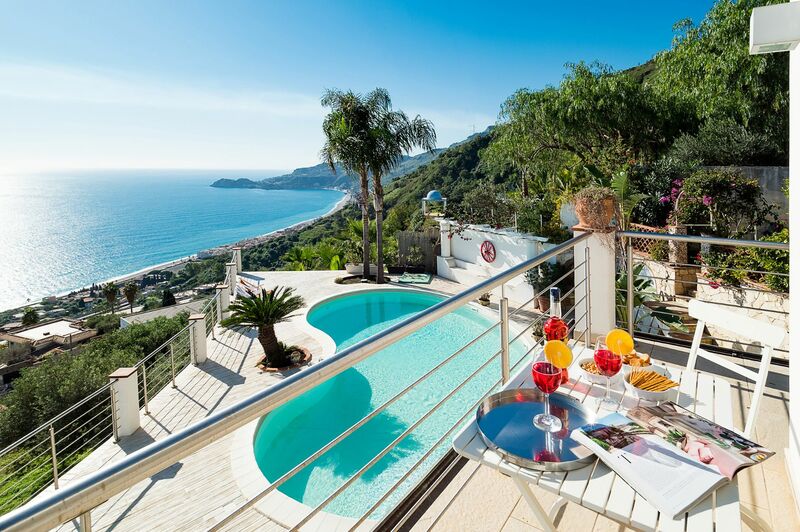 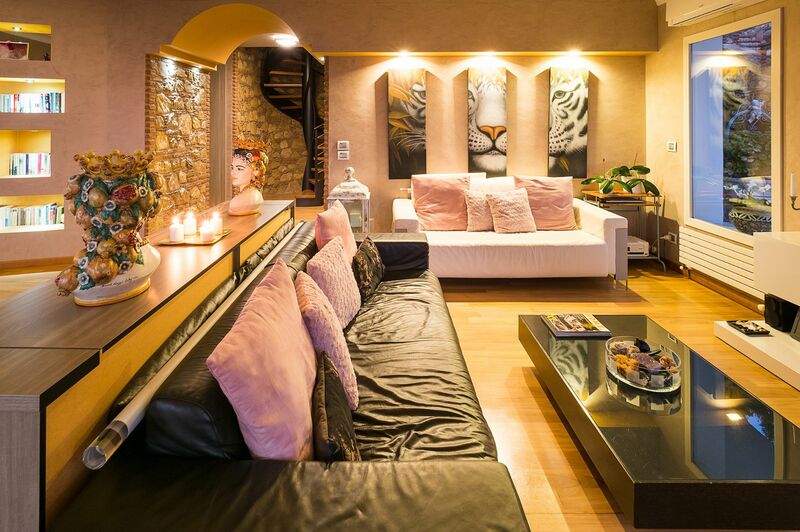 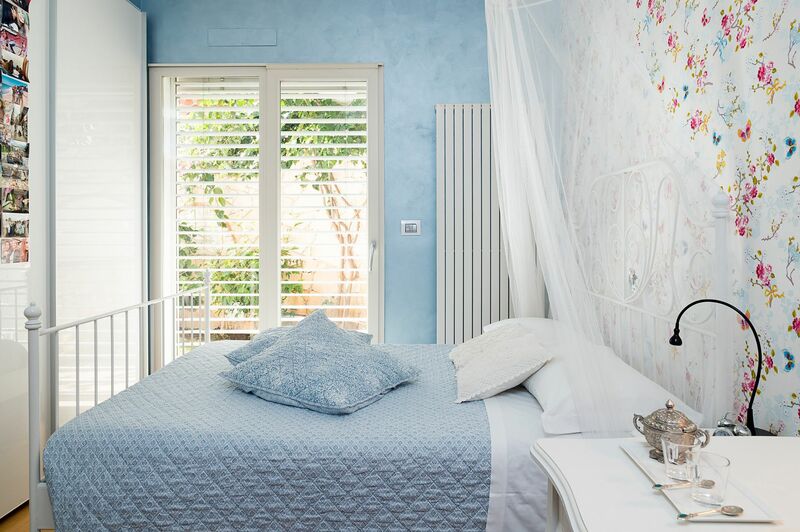 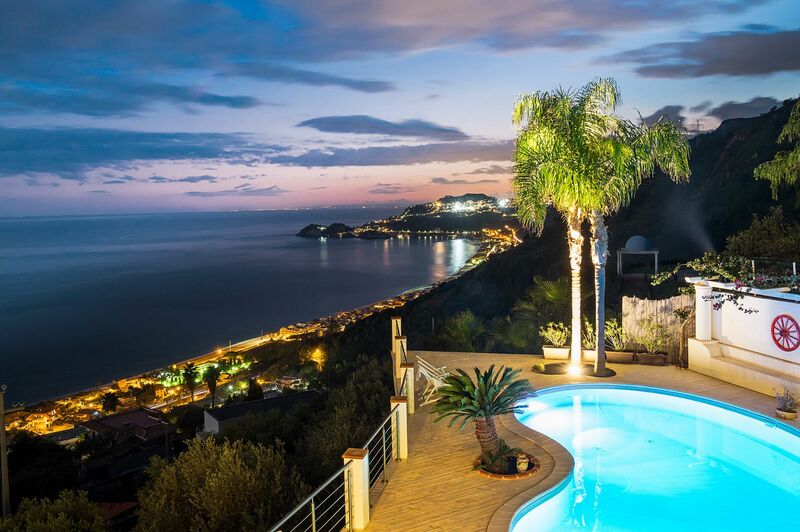 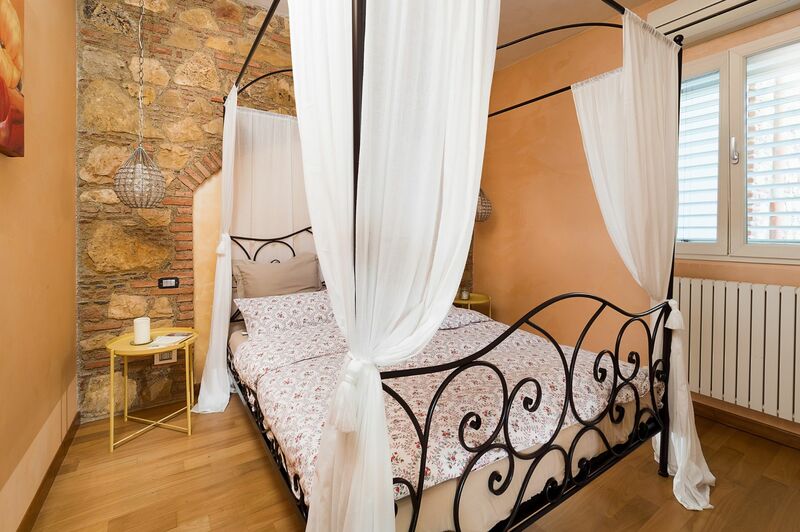 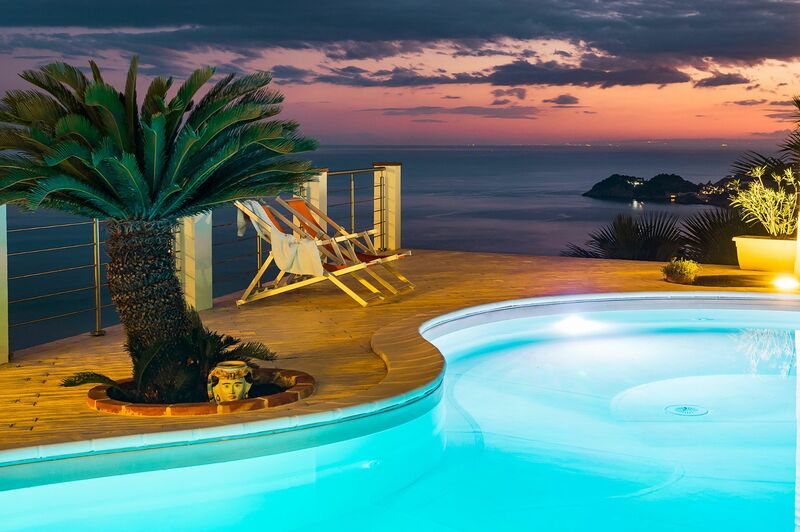 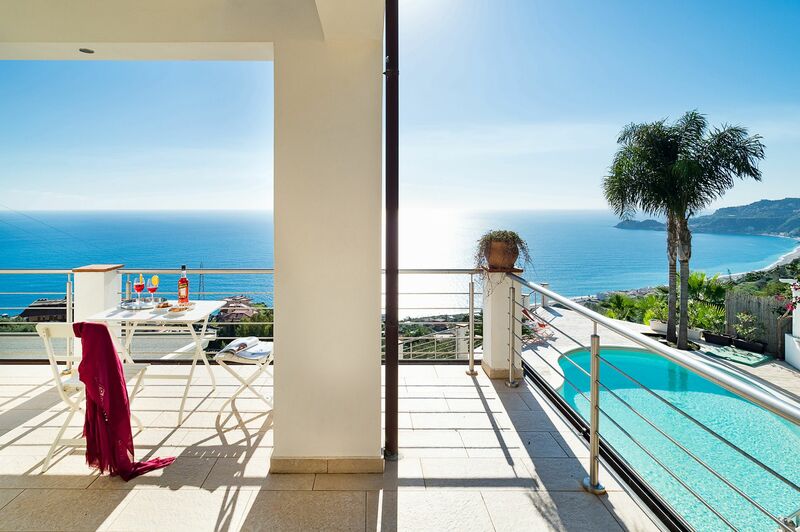 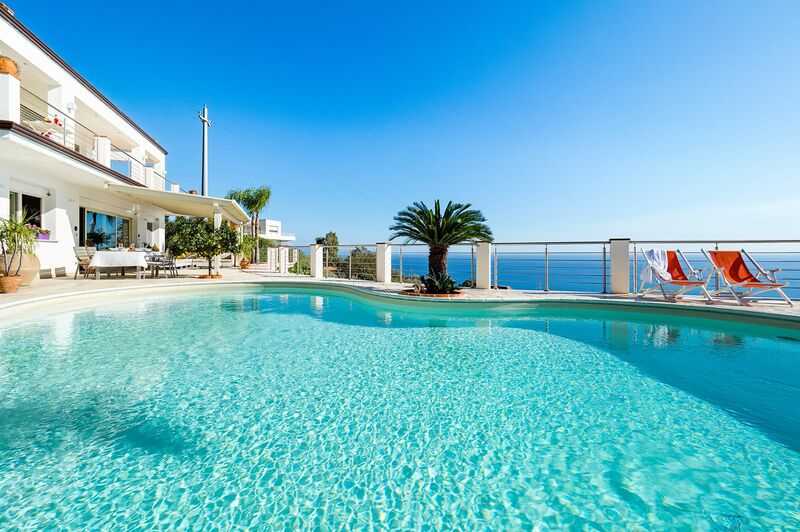 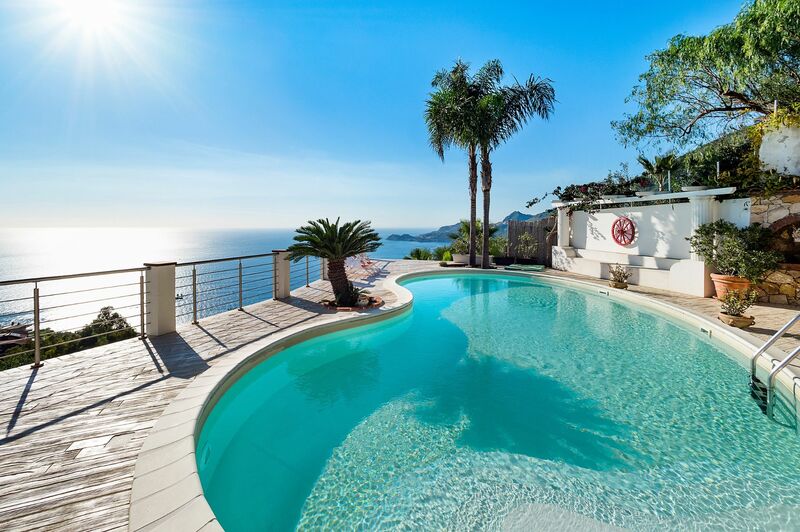 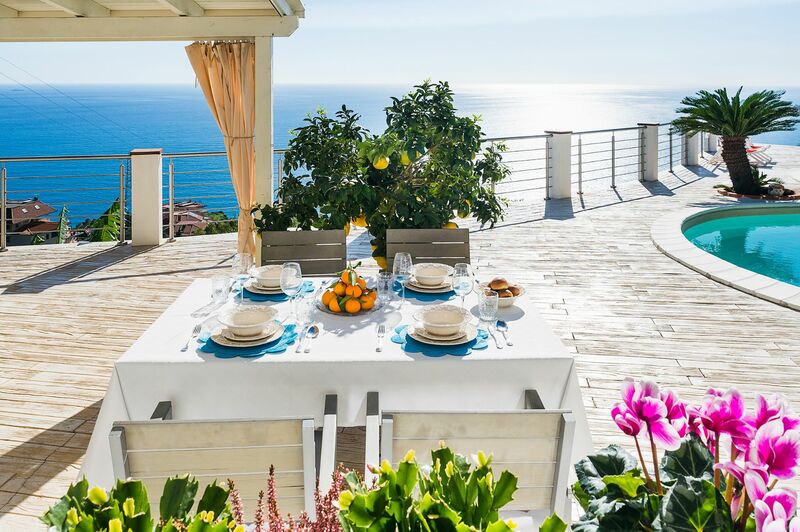 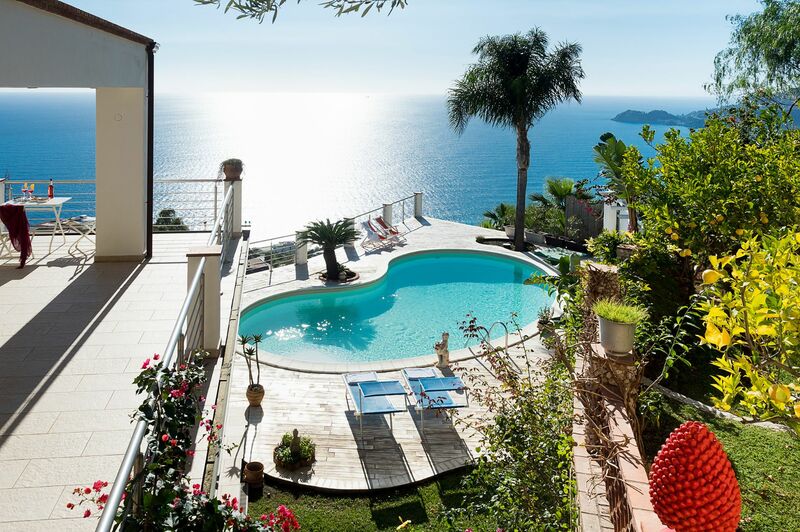 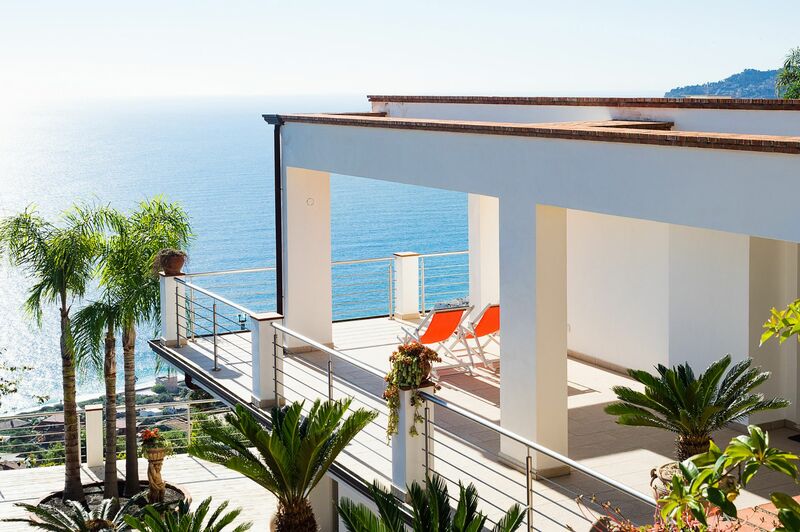 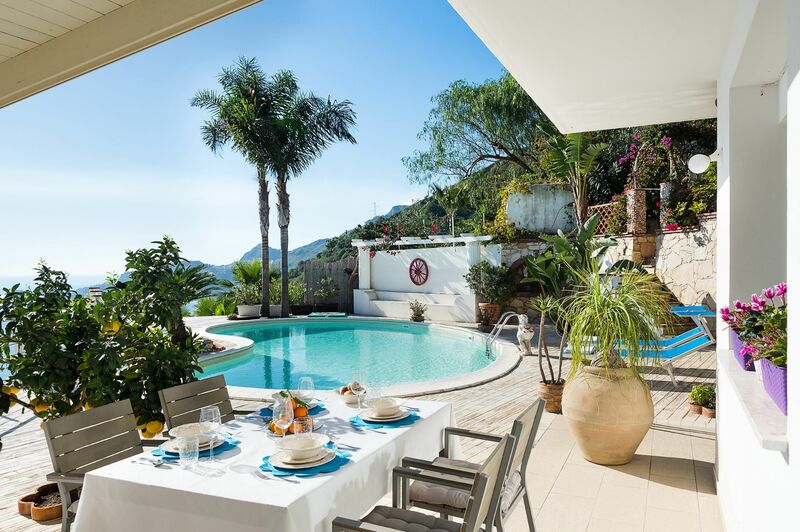 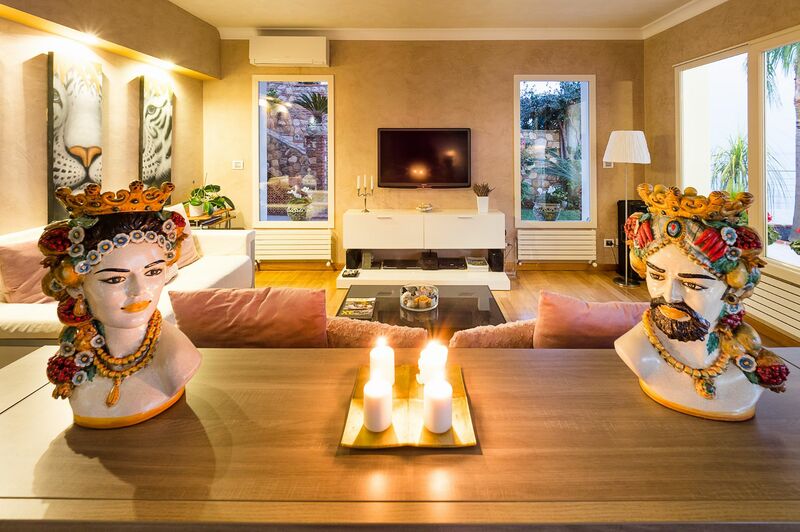 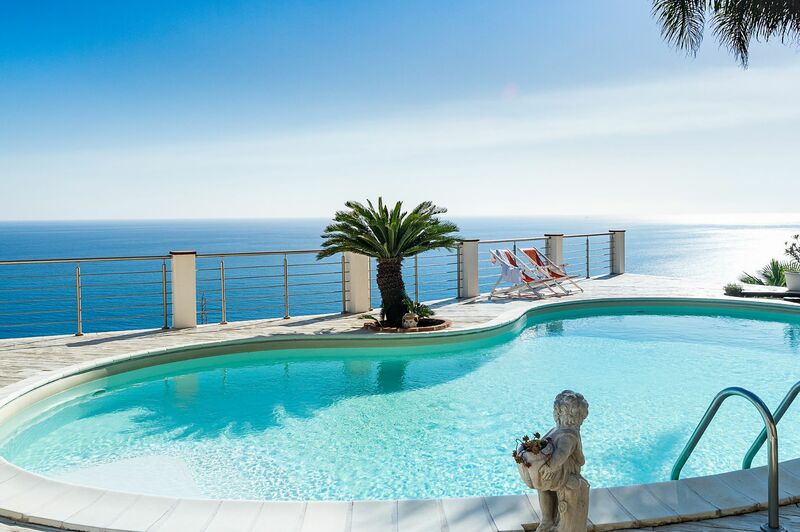 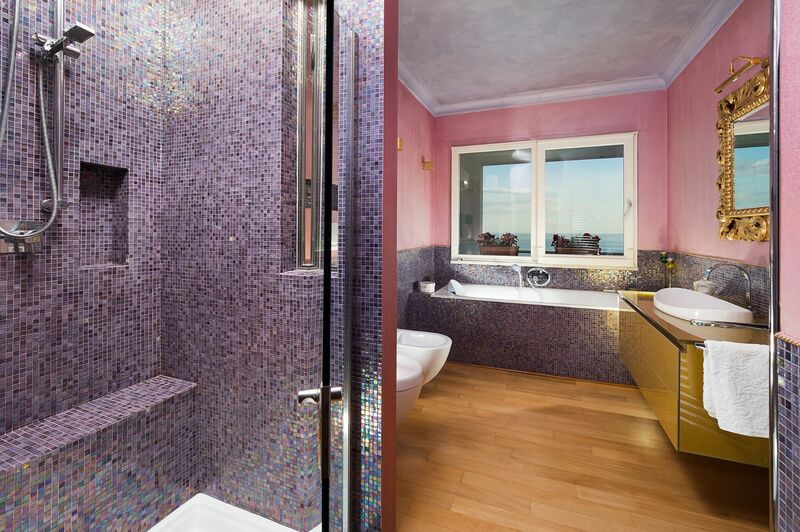 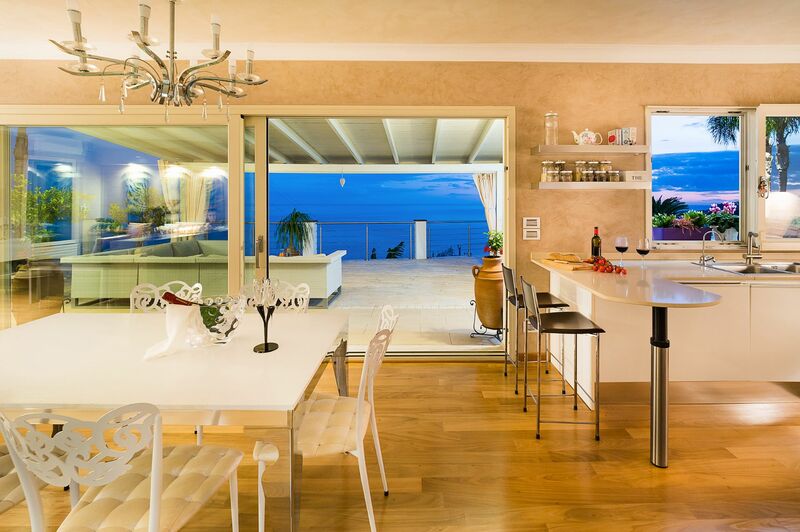 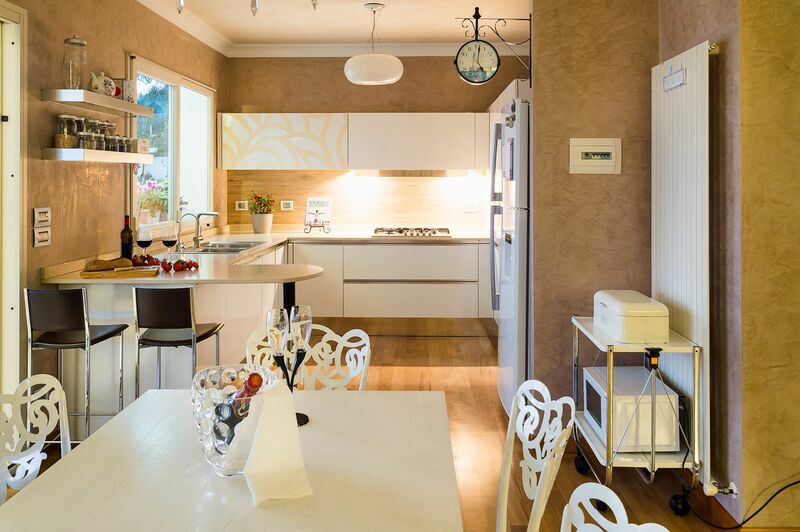 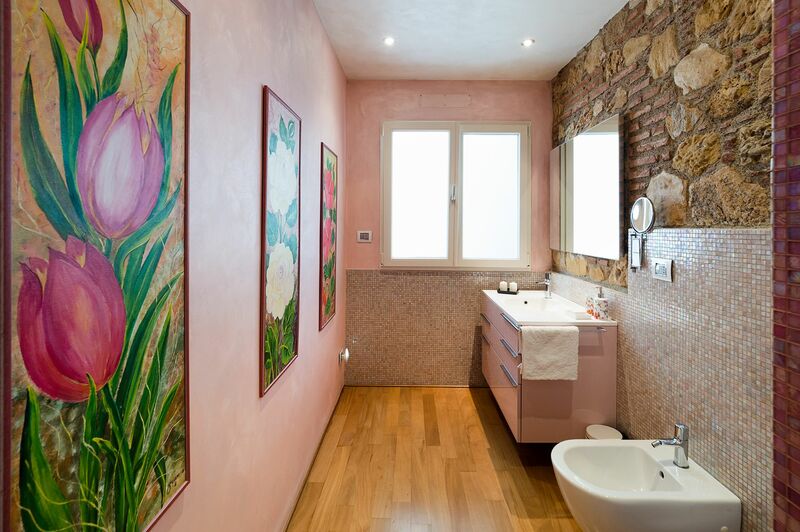 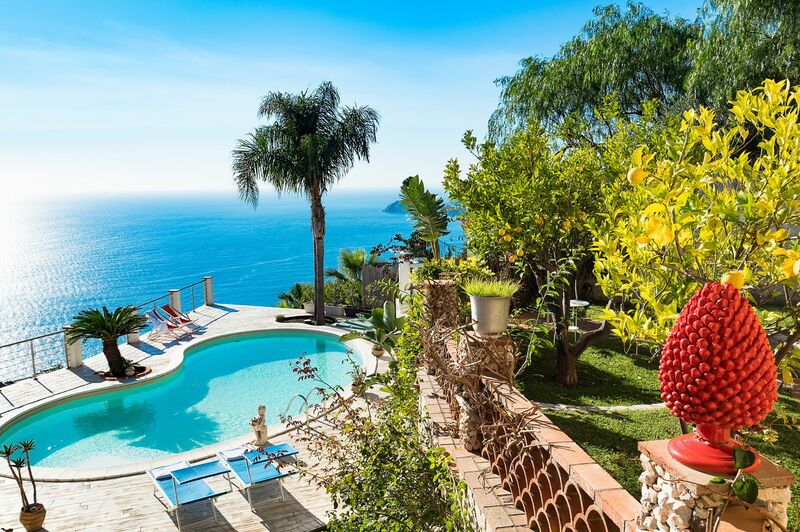 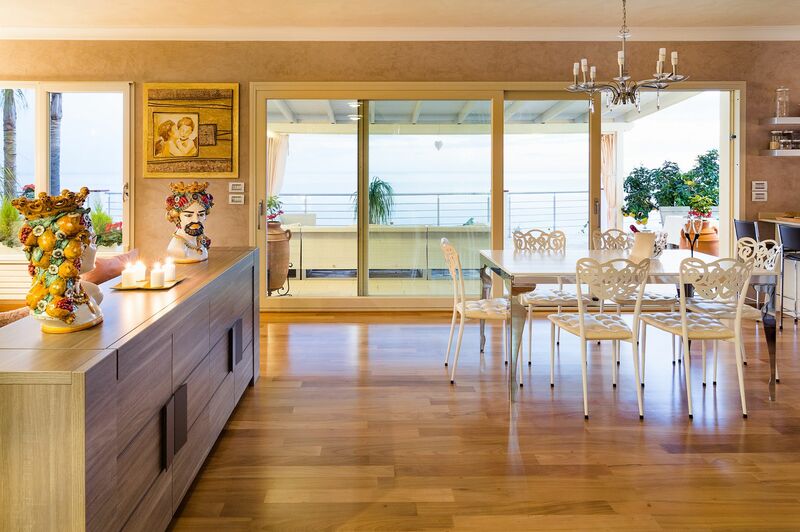 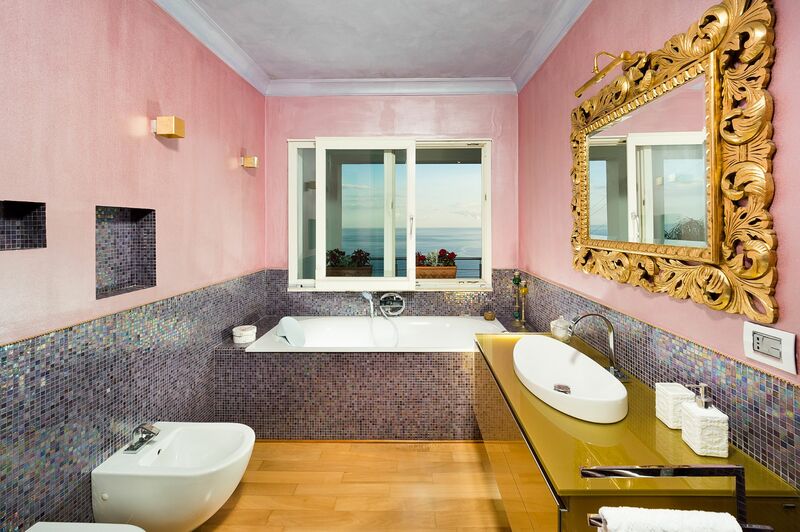 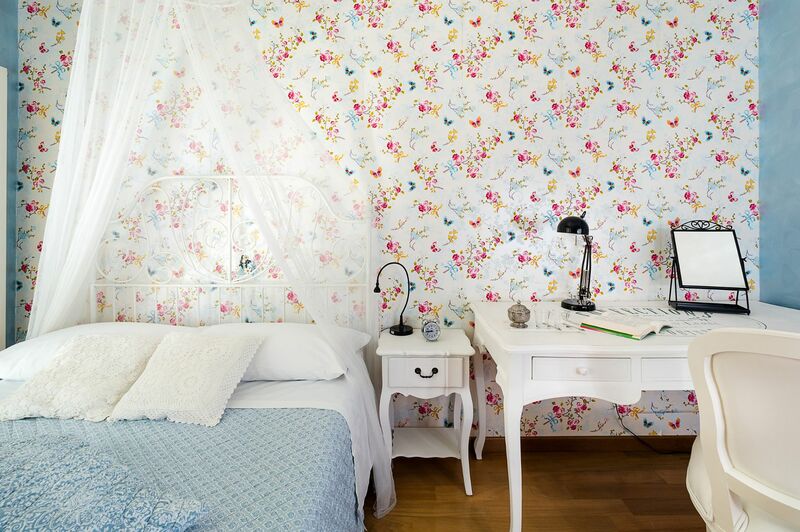 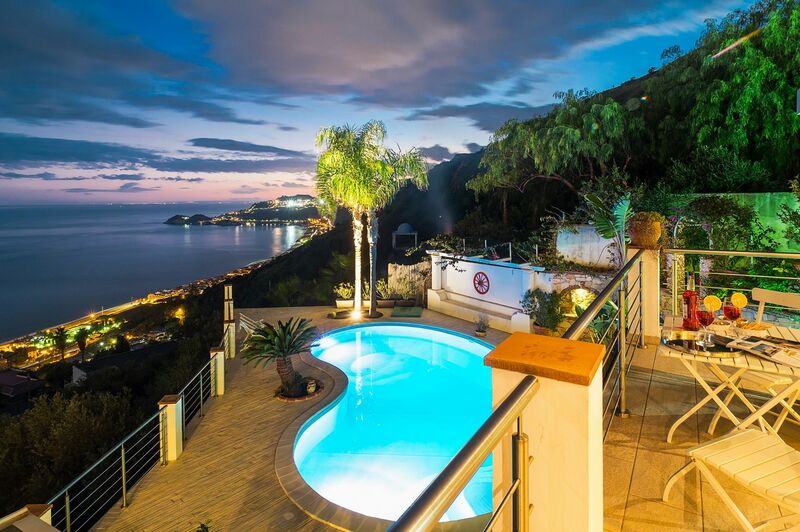 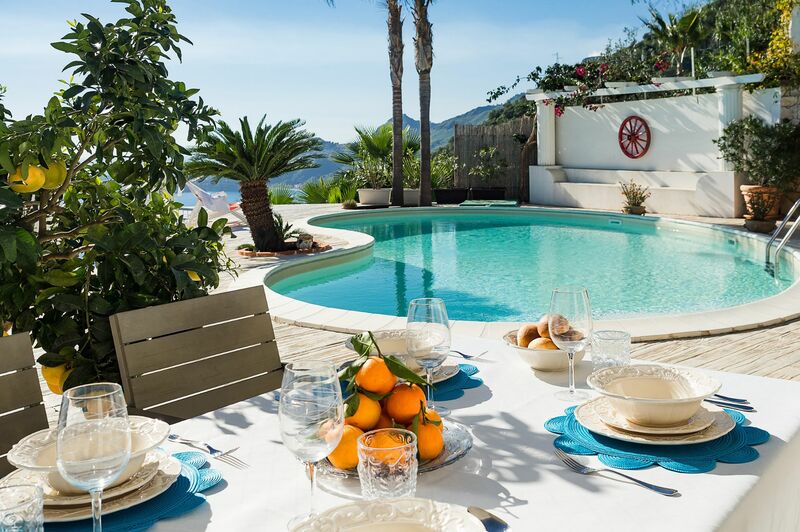 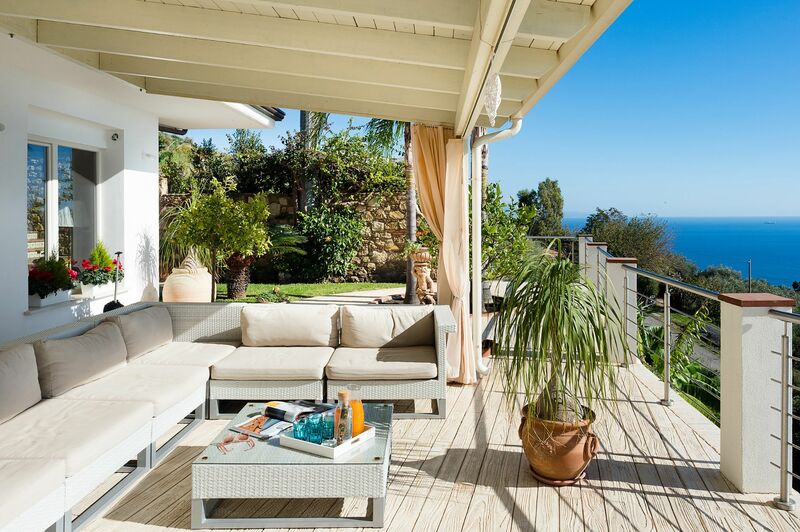 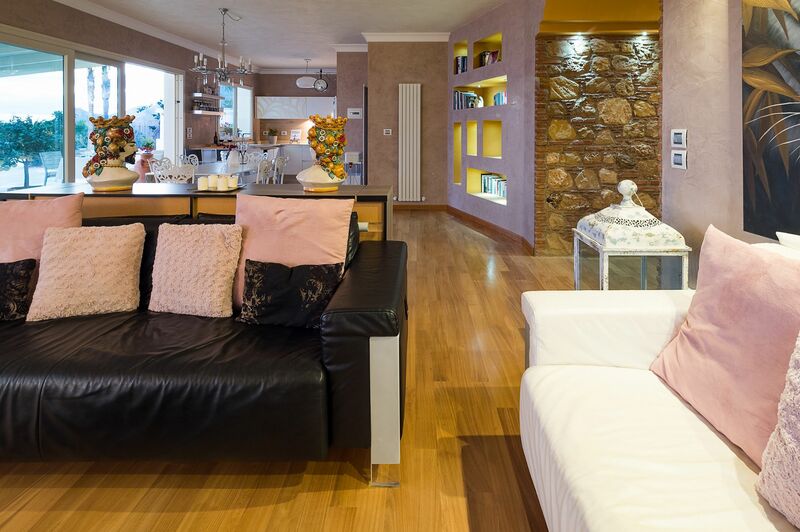 Villa Letojanni piccola is spread over two levels and offers comfy interiors designed to provide the ultimate comfort. 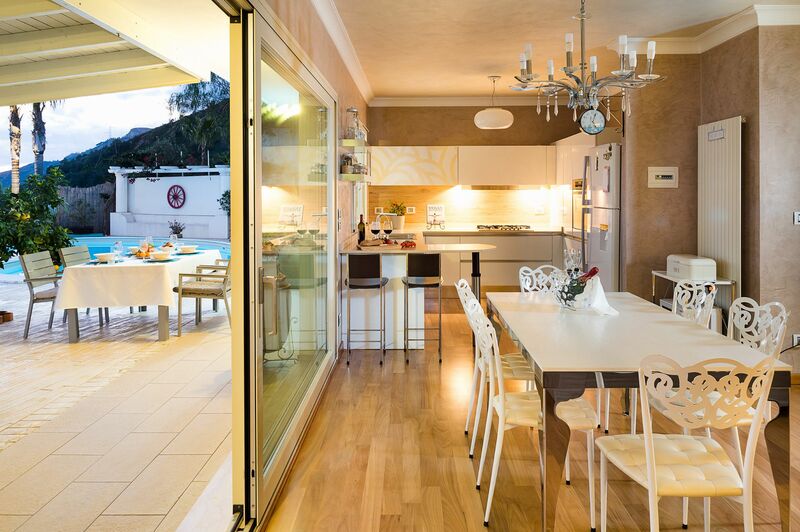 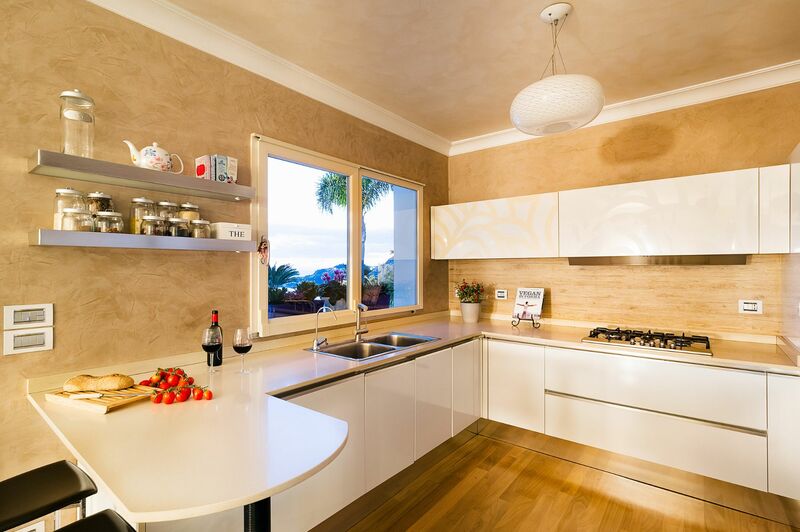 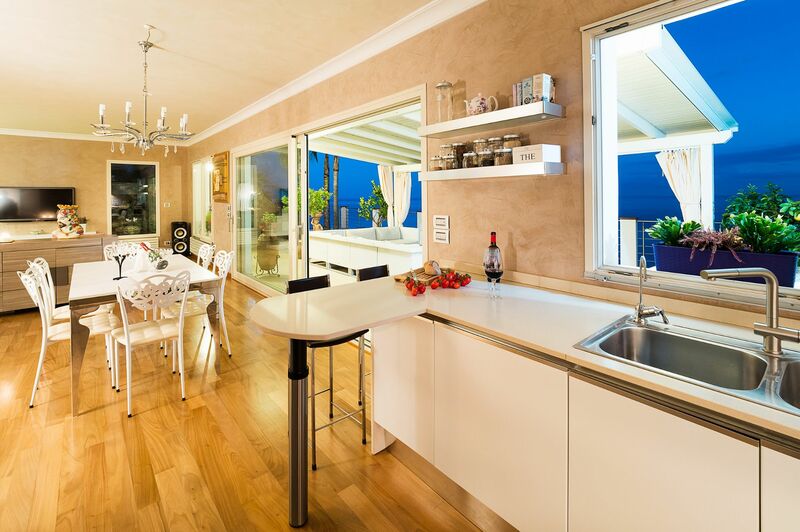 On the ground floor there is a spacious living/dining room with kitchen and large glass doors that open directly onto a veranda, three bedrooms and a bathroom with shower. 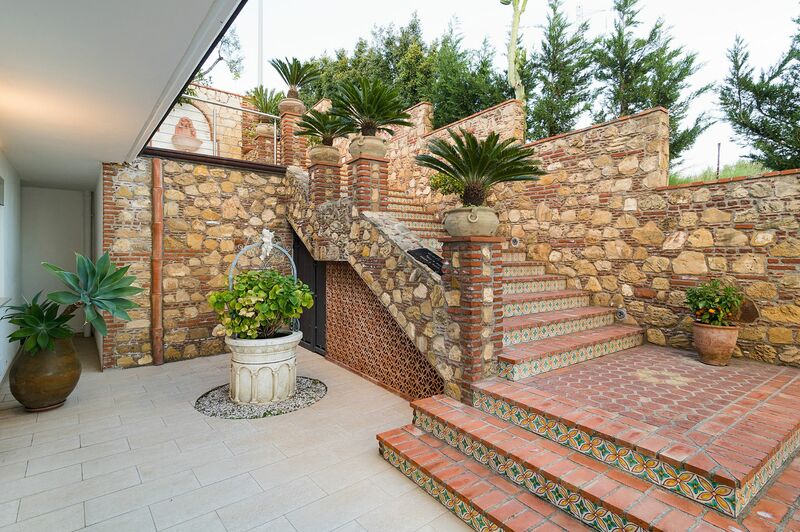 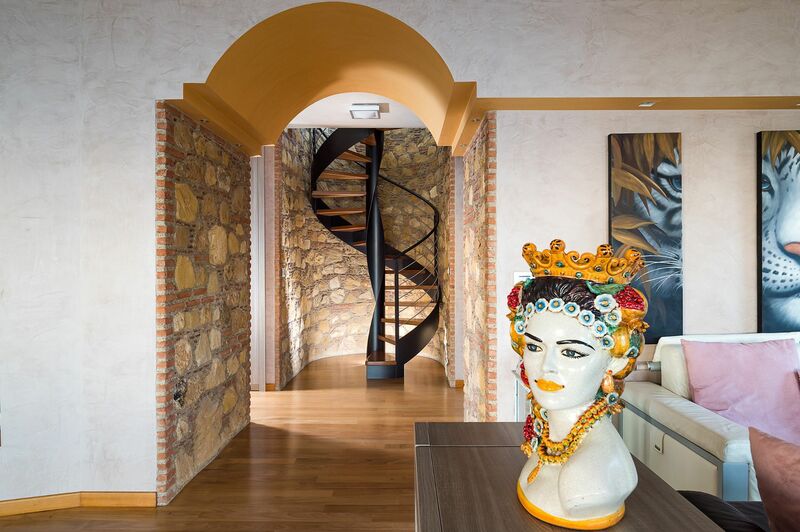 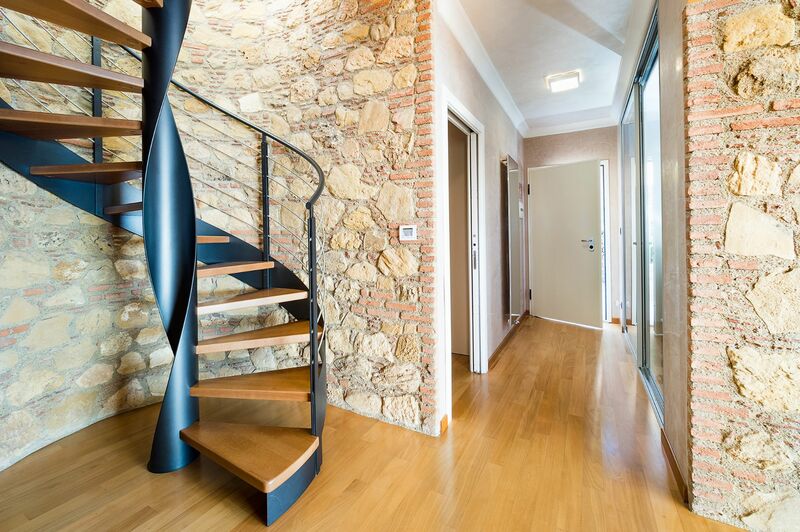 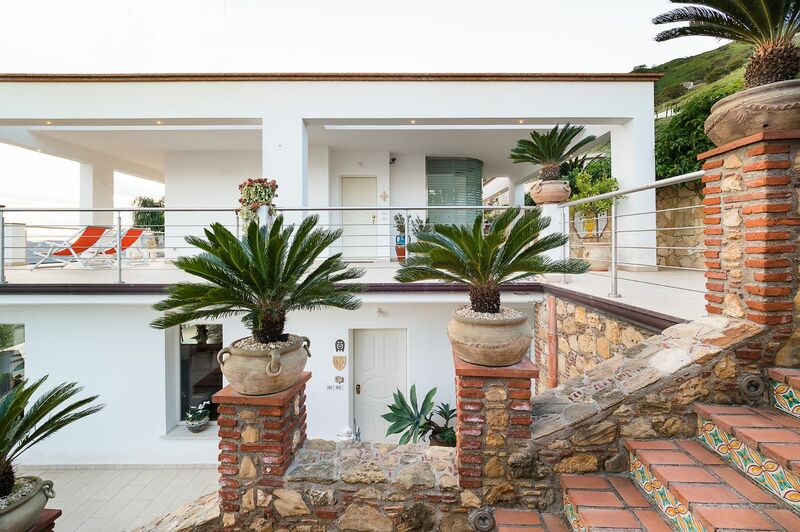 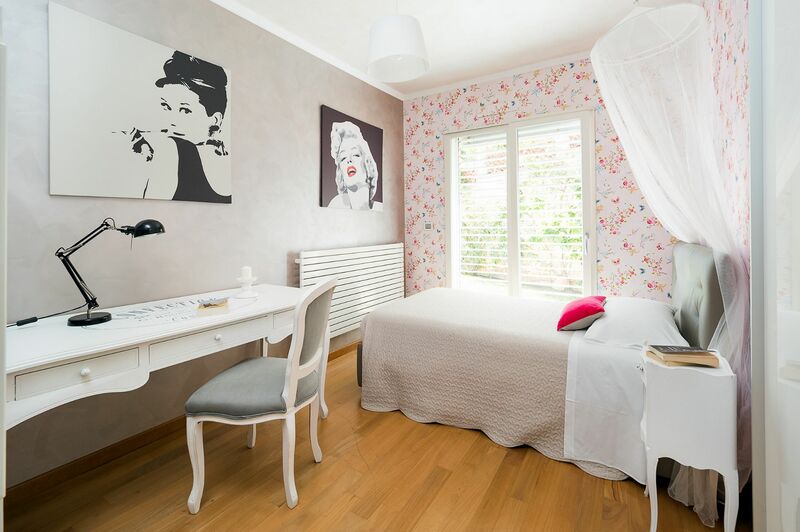 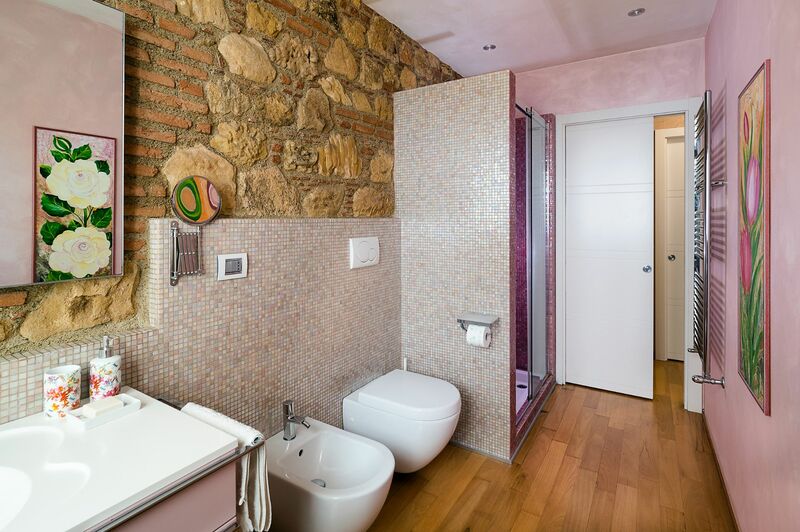 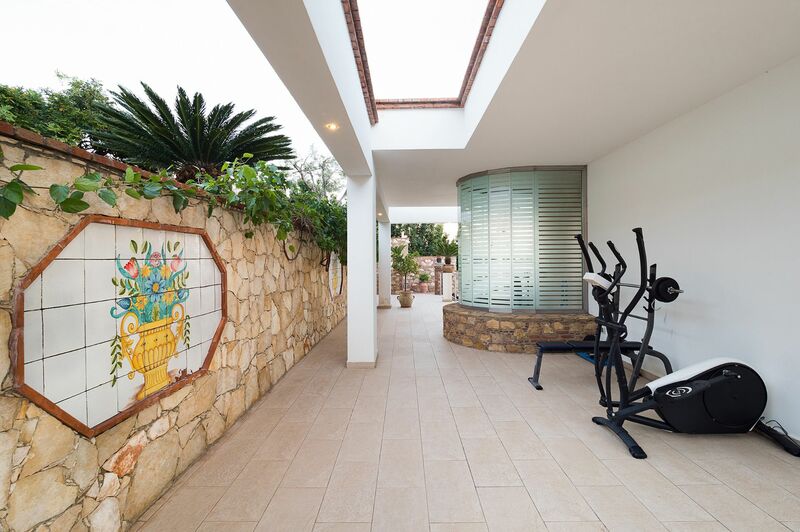 A contemporary, spiral staircase or an external staircase lead up to the first floor, where you will find a master bedroom with panoramic terrace and bathroom with shower and tub. 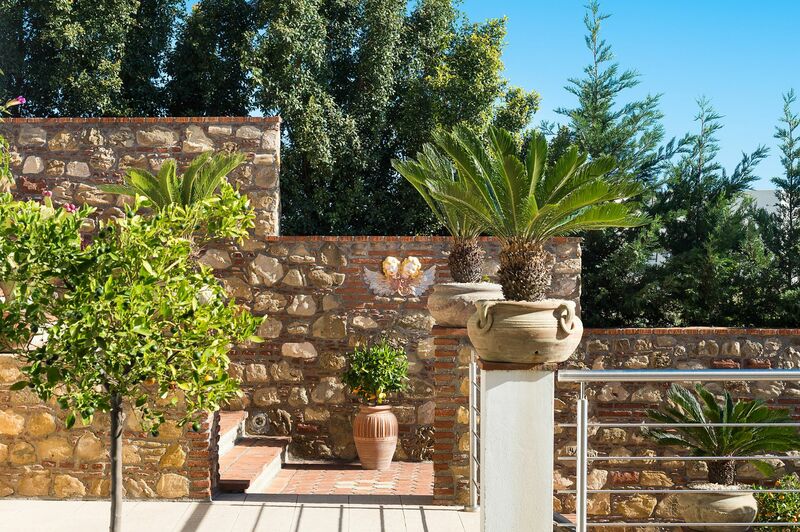 Veranda, terrace 300 m2, garden 500 m, swimming pool, sun terrace. 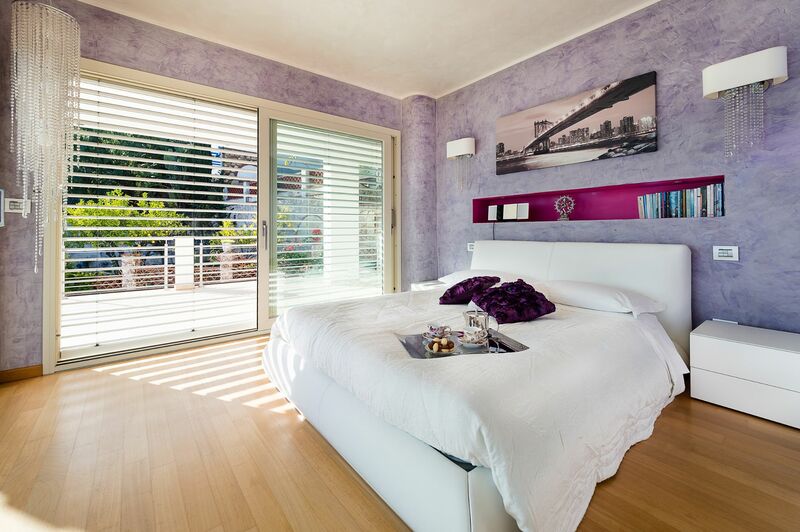 Within a few minutes’ drive you can reach the the beaches of Letojanni, Mazzarò and Isola Bella. 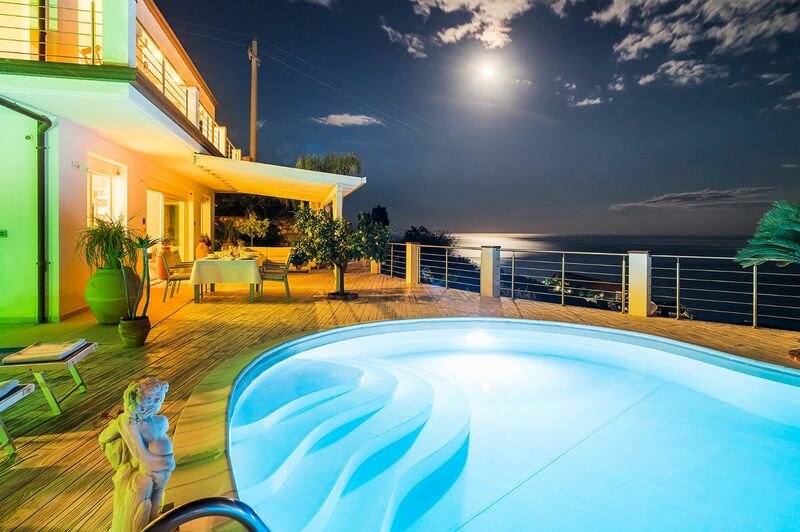 Catania and Syracuse, the villages on the slopes of Mount Etna, the Alcantara gorges and the fishing villages on the Cyclops Riviera can be also easily visited.